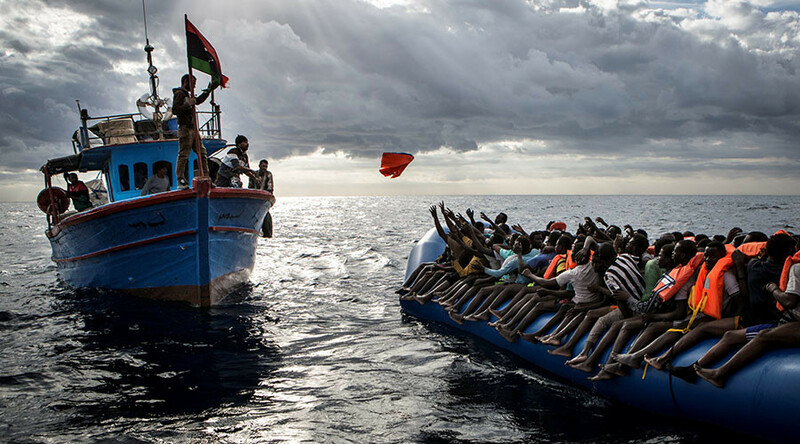 Winter sea rescues of migrants and asylum seekers in the Mediterranean Sea between Italy and Libya have reached three-year highs, with new arrivals so far standing at least 60 percent higher than this time last year. Some 1,300 migrants were brought to the ports of Pozzallo, Catania, and Messina on the island of Sicily over the weekend as rescuers manage the latest influx of migrants. Around 15,000 migrants have arrived in Italy so far in 2017, which is a sharp increase from this time last year. Migrants reaching Italy from Libya are up between 57 and 81 percent in comparison to the opening two months of 2015 and 2016 respectively, AFP reports citing the Italian Interior Ministry. “Unfortunately today we are seeing many, many unaccompanied minors,” Save the Children’s Giovanna Di Benedetto from the port of Catania said as cited by Reuters. "Many of the minors are unaccompanied, including small children. Some of them are very small indeed." In 2016, Italy saw its highest number of arrivals ever recorded with 181,000 people braving the icy Mediterranean waters for a chance at a new life in Europe, reports Reuters. A significant increase in the number of migrants from West Africa was logged, according to a recent report by Frontex, the European border control agency. With countries such as Nigeria, Somalia and South Sudan at increased risk of famine, according to The Famine Early Warning Systems Network (FEWSNET), the influx of new arrivals on Europe’s doorstep once the winter freeze has thawed is expected to dwarf current projections.